Identifying safe methods to assess patients with chest pain and potential heart disease more quickly than the current process. This study is important because it will more rapidly move patients out of acute beds. It will do this by diagnosing patients with heart attacks up to four hours earlier and allowing earlier testing of patients without a heart attack but with potential heart disease, thus preventing overnight admissions. Approximately 80 per cent of patients who present to our ED each year with chest pain do not have a heart problem. Therefore, early discharge or admission of these patients would free up significant hospital resources, improve hospital flows and reduce the economic burden on the health care system. It may also reduce mortality associated with overcrowding. Given that overcrowding is associated with an excess of approximately 1,500 deaths per year one, the potential decrease in mortality may be significant. Testing very low-risk patients frequently wastes time and resources and subjects patients to unnecessary provocative testing (e.g. treadmill testing). Provocative testing carries a risk of life-threatening heart rhythms or heart attack and if the test gives a false positive result further tests may be unnecessarily performed each with their own risk and complications. Identifying a very low risk cohort, who do not require extensive investigation, is the key. 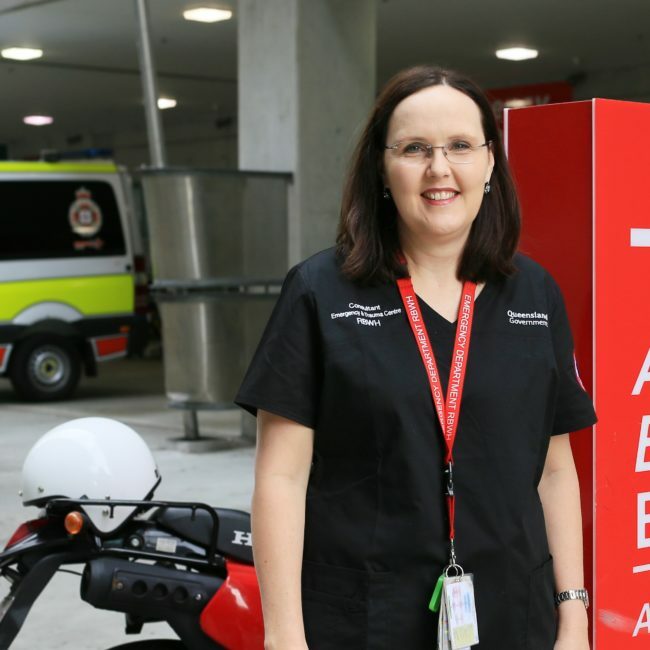 Professor Cullen and her research colleagues have developed new diagnostic tools and procedures aimed at reducing door-to-discharge times in patients with suspected acute coronary syndromes. In her PhD research, Professor Cullen showed that her new accelerated diagnostic protocol, ImpACT, was safe and effective at identifying low risk patients who can be managed in an outpatient setting. Using the protocol, more 20% of patients presenting to the ED with chest pain could be safely discharged. •	Skoien W., Cullen L., Ashover S., et al , “Outcomes of the Queensland accelerated chest pain risk evaluation (ACRE) project”, Heart, Lung and Circulation, 2015; 1;24:s159.